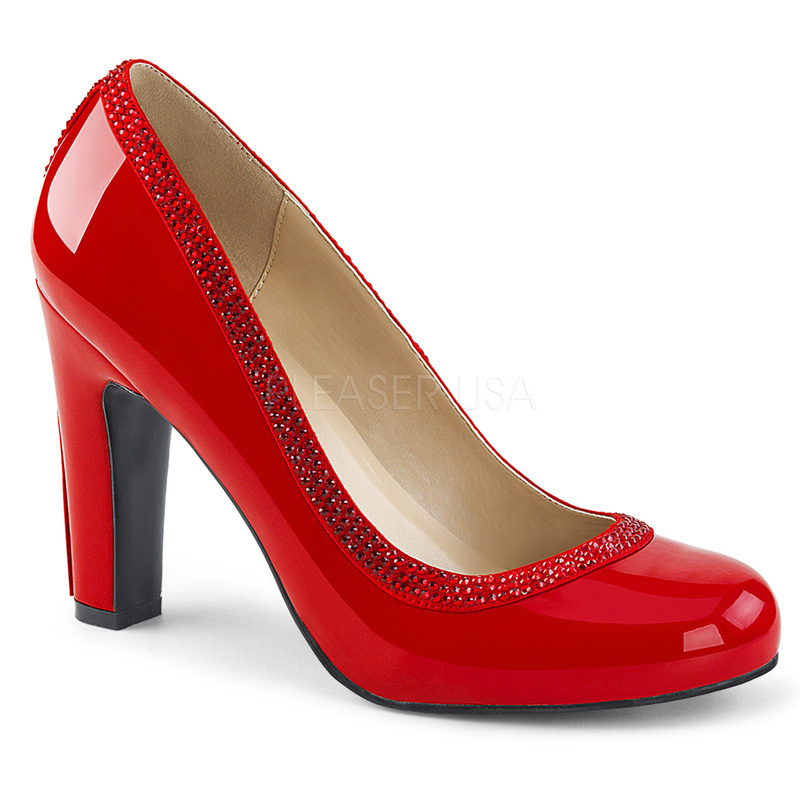 Queen 04 Round Toed Shoes with a rhinestone trim. Have a 4″ high square heel but they are comfortable as well as stylish. Black, Red, Pink and Cream available and available in sizes UK5-UK13. Queen 04 Round Toed Shoes with a rhinestone trim. Has a 4″ square heel which can give a stability to your high heel, without compromising on style. These comfortable and stylish court shoes come in four different colours and larger sizes.